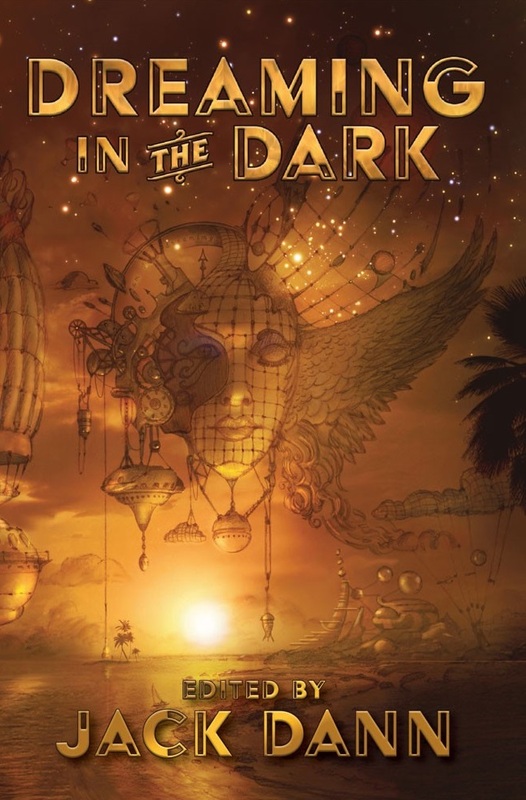 Jack Dann’s new landmark anthology Dreaming in the Dark contains a who’s who of Australian fantasy and science fiction (James Bradley, Angela Slatter, Garth Nix, Lisa L Hannett and many others). Launched in Brisbane in fine style, it is one of the most beautiful artefacts I’ve seen for a long time. I’m honoured to be in there, and with the lead story, no less. “Sing, My Murdered Darlings” is very much down the grimdark end of the Twinmaker spectrum. It depicts a battle of wills between two criminals, both of whom have hacked the d-mat network for their own ends. It opens with a quote from my father, taken from the diary he wrote in the 1990s, while waiting for a heart transplant. Sadly, he didn’t live to read this tale–or perhaps fortunately. I don’t think he would have liked it! Here’s an excerpt. Check out the book at the links above. There’s a boxed, signed edition that is really something special. I have written this in the form of a confession, although I have committed no crime. There is no trail of bodies left in my wake, not in the traditional sense. Only one person has suffered, and even then the matter of his suffering depends entirely on your feelings about d-mat. If you are comfortable with the machine’s dissection of its passengers, then you must be comfortable with my actions, too. If you are not, then you must already be like me, an outsider, an Abstainer, and you will have learned that there is no force great enough to turn the tide of opinion against this supposedly marvelous invention. As a young man I was angry about the way people lined up so passively for the slaughter. Now, I have found my peace with matter transmission–a peace that, like all forms of peace, comes not from any greatness of my own heart, but from finding a way to profit from what offends me. Without d-mat, I would not have my darlings. My nights would be empty, my days endless tracts of rage with no outlet. I would be nothing, a creature with no purpose–and I do see the irony in this. Eschewing d-mat is no guarantee of substance. Yes, yes. Even a knife that is never used will eventually go blunt.